A highly reputable service in Milton Keynes and the surrounding area. I won't stop until my customers are satisfied. Join my growing and loyal client base. I have an extensive portfolio I would love to show you! With over 10 years experience in the industry, I have many happy clients who are consistently satisfied with my service. Experienced plumbers in Milton Keynes, Buckinghamshire. Contact us if you would like to request a free quote or consultation in regards to any of my plumbing or heating services. 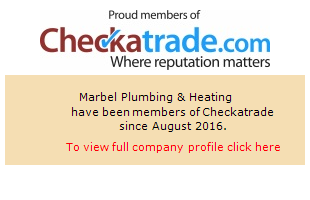 Marbel Plumbing and Heating is a well established plumbing and heating company based in Milton Keynes. I have a great deal of experience in all areas of domestic plumbing services, with cutting edge industry knowledge and skills to ensure my customers always receive top quality plumbing and heating services. We can provide completely bespoke plumbing solutions based entirely around your exact specifications and requirements. The majority of our time is filled undertaking domestic plumbing and heating services for home owners, land lords, new builds, building contractors, building projects and more. What services can Marbel Plumbing And Heating provide? Gas boiler installations and servicing, gas cooker and hob installations, landlord inspections and certification, power flushing and magna-cleansing and much more. Exceeding customer expectations is key and must be demonstrated on every single job. Free plumbing quotes and transparent consultation is always given. We feel that providing our customers with honest consultation and free plumbing quotes is vitally important. It allows our small team and I to figure out exactly what you require and then decide on a suitable, effective and affordable solution. 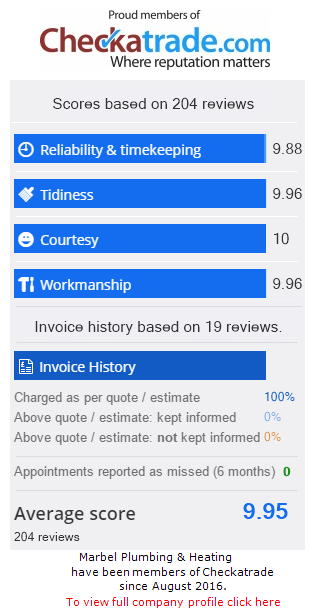 This attitude for pristine customer service has helped establish Marbel Plumbing And Heating in the local area of Milton Keynes, Buckinghamshire and surrounding areas. Finding plumbers in Milton Keynes and Buckinghamshire can be a tricky process. Is this quote accurate? Is this plumber fully qualified? Will it take the time they say it will? These types of questions above may be running through your mind already. Therefore, we always want to ensure your mind is at ease by giving you all the reassurance and plumbing advice you need, in order make the most informed decision for which plumbing services are required for your particular job. Work was completed promptly once part was in stock. Communication was excellent throughout and always knew what was happening from first inspection through to completion of work.